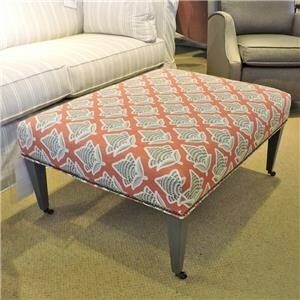 As a great accent piece, this ottoman can be used in a variety of rooms for the finishing touch. This ottoman has a rectangular shape and tapered wood legs that sit on simple metal casters. This piece can be used to update your living room, bedroom, or even entryway for a stylish accent. The Ashby Traditional Style Accent Ottoman with Tapered Wood Legs and Casters by RB by Rowe at Belfort Furniture in the Washington DC, Northern Virginia, Maryland and Fairfax VA area. Product availability may vary. Contact us for the most current availability on this product. Leg or Skirt Tapered wood legs with casters. Padding & Ergonomics Standard cushion include 300cc cushions with high-resiliency foam. This foam provides support, sink-in and bounce back. Cushion upgrades include Extra Firm, Feather Soft and Our Down. 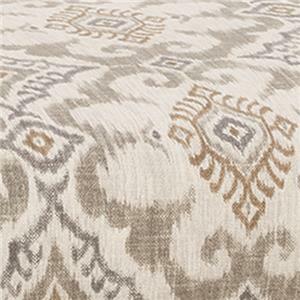 Browse other items in the Ashby collection from Belfort Furniture in the Washington DC, Northern Virginia, Maryland and Fairfax VA area.